Simply Straight is the perfect solution to the worry of heat damage from flat straightening irons and the hassle of taking a straightener and a brush wherever you go. Combining the hair-friendly ceramic coated bristles of the styling brush with the straightening effect of safe, controlled heat means your hair will always be exactly as you want it. And, unlike the harsh 'ironing' effect of traditional flat straighteners, the open face of Simply Straight won't damage or burn your hair and there's no need for chemicals or moisturisers. With a safety cut off function and a display that tells you the precise temperature, from a cool setting for softening kinks and waves, up to a high 185C for hard-to-control thick hair, you can style and straighten with confidence. And because it's two applications in one, the compact design means you can take it with you and top-up your look whenever you want. 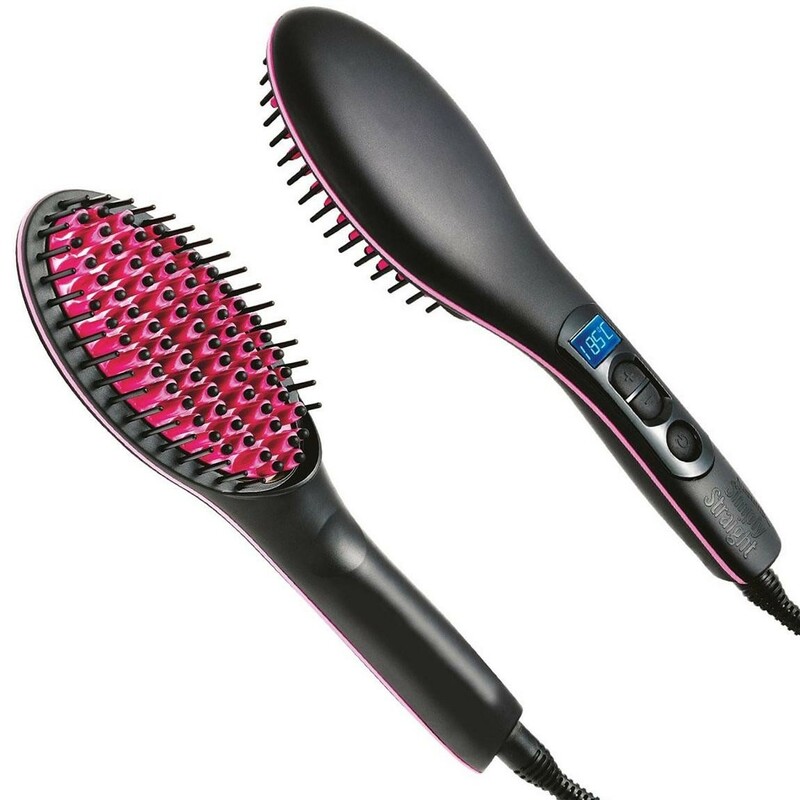 Combines the power of a straightener with the gentle styling of a brush.